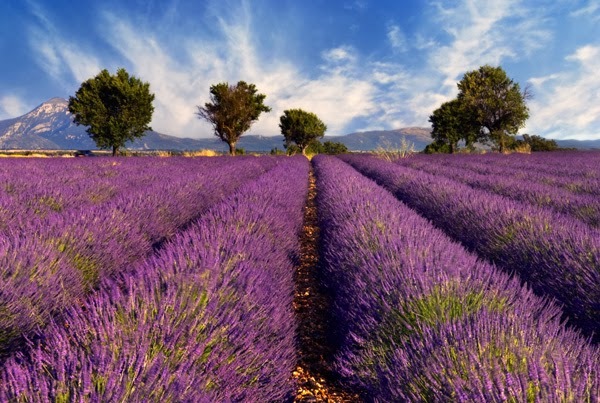 How easy is it to get to Provence? Well, it is now super easy and fast! The British holiday-makers' unrelenting passion for France, particularly Provence has attributed to the decision by Eurostar to extend the direct six-hour summer service from Ashford to Avignon by two weeks (28 June -13 September), with a permanent service from 2015. This region is becoming ever more easily accessible with flights available to Nimes, Avignon, Marseille and Montpellier. What are the best things to see in Provence? Just west of Avignon, and only 13 kilometers from the UNESCO certified Pont du Gard, Uzès is a real gem. 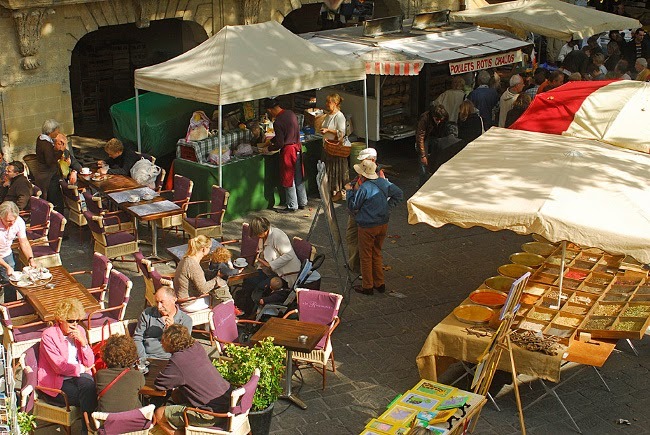 The Wednesday and Saturday markets on Place aux Herbes will awaken your senses with colour, and perfume. You will enjoy sitting at one of the outdoor cafés, sipping a glass of local rosé, watching the world go by and taking in the quintessential French experience. You will know you are in Provence! What are some of the best Provencal towns to visit? Steeped in 1500 years of history, Uzès has a fascinating blend of medieval architecture and Roman ruins and Uzès won the title “City of Art and History” in 2008. You can buy a pass from Tourist Office for €10 giving you access to 4 museums and historical sites. What are the gastronomic specialities in Provence?Local gastronomic specialities include Truffles, Olives and of course, wine! Where to rent a Holiday Home in Provence? 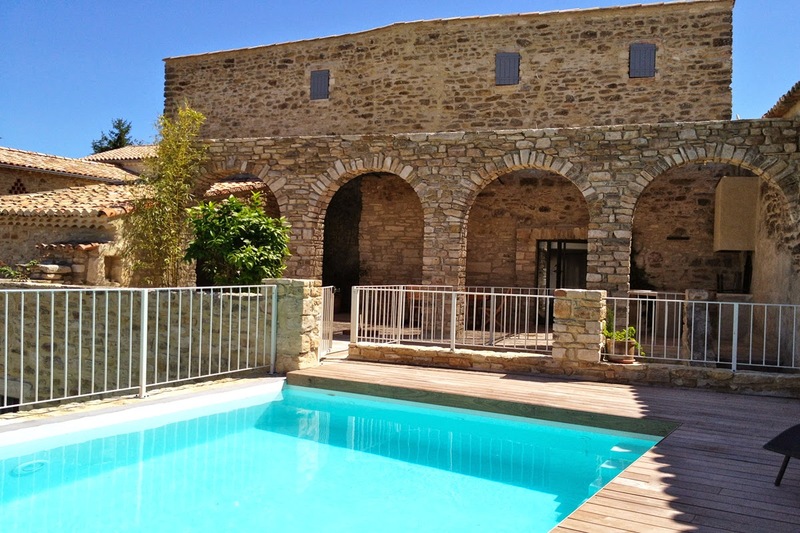 Perfect for 2 families or a large group, the beautiful stone-built Bastide de la Soie (ref GR014A), is 24 kilometers from Uzès and has 2 swimming pools, 6 bedrooms and sleeps up to 12 people. Or how about this large, 220m2, Provençal style villa, Villa Camelia (Ref: VU028A). Only 12 kilometers from Uzès. With 4 bedrooms and 2 bathrooms, it can sleep up to 8 people. With a pool, ample garden and surrounding countryside providing plenty of outdoor space to enjoy the fragrant Provencal air and perfect for a poolside apéro! Or, if you prefer a more modern style, take a look at Villa Chrysantha (Ref: VU029A), 30 kilometers from Uzès in the historic village of Rochefort-du-Gard. This contemporary villa has 4 bedrooms, 3 bathrooms and a large garden complete with pool. There is a cool wrap-around terrace where you can relax and take in the magnificent view towards Pic St. Loup. 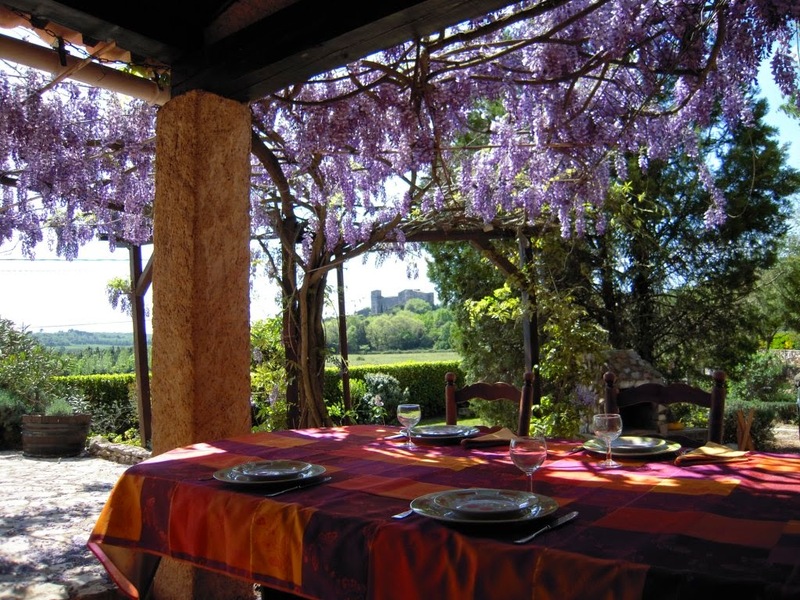 Want to rent a house for a large group in Provence? If you are part of a large group wishing to book together, this property can be booked with Villa Anise (Ref: VU026A), which also sleeps 8 people, the two properties are next door. 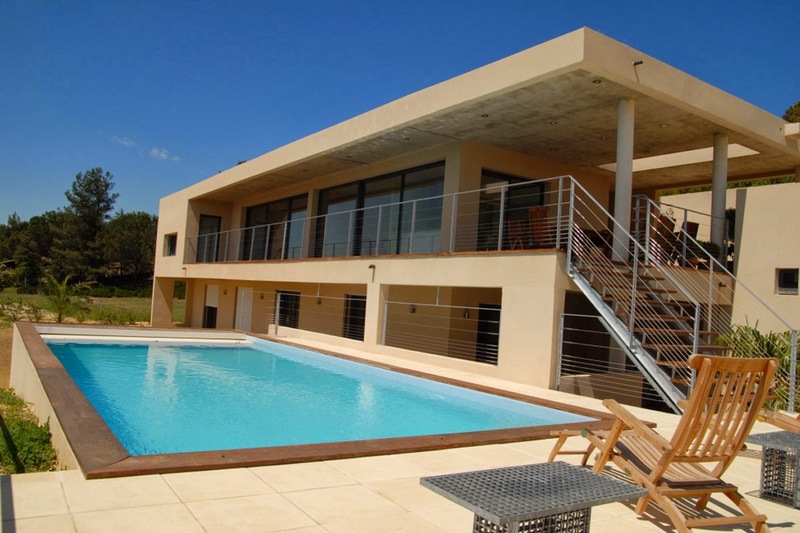 Villa Chrysantha (VU029A) A Stunning 4 Bedroom, 3 Bathroom Contemporary Holiday Villa to Rent, Rochfort-du-Gard. If you would like to know more about any of our properties, or would like to book, please don't hesitate to get in touch. You can email us on: info@southfrancevillas.com. Our website where you can find photos and information on all our properties in the South of France, Corsica and Morocco is South France Villas. See also our Provence Regional Guide for more useful information on this area.